Looking for an April 2021 Florida holiday at a bargain price? Easter falls late-March / early-April in 2021 – avoid the Easter school holidays and fly a bit later for excellent value. This April 2021 Orlando holiday includes direct flights, two weeks at the Rosen Inn at Pointe Orlando and a fully-insured SUV. Prices start at £825 person, based on a family of 2 adults and 2 children. If you need early April dates, call us on 01934 319 851. Or let us know your requirements on our contact form. We can put together a tailored Florida holiday package to suit you. 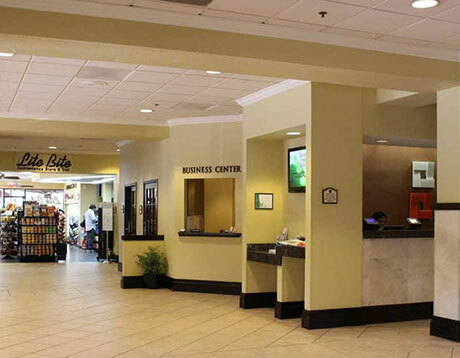 International Drive is a 30-minute drive from the airport. Orlando's biggest entertainment area has a wealth of bars, restaurants, cinemas, shows and shopping. Universal, Aquatica, Discovery Cove and SeaWorld are on your doorstep. Disney is a 15-minute drive. You won't be short of something to do! 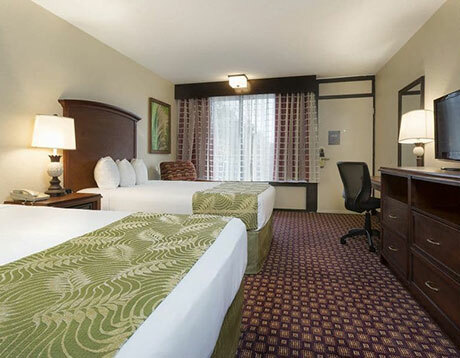 We’ve chosen the Rosen Inn at Pointe Orlando for this April 2021 Florida holiday. It’s a budget-friendly hotel with excellent reviews on TripAdvisor. The hotel has three swimming pools, free shuttles to Universal, free gated parking, a family restaurant, sports bar and a mini-market. Rooms are clean and comfortable; facilities include free Wi-Fi, en-suite bathroom, mini-fridge, microwave and a flatscreen TV. If you have different ideas, let us know. We book all the popular resorts and hotels. Combine your choice of flights, accommodation and car hire for the perfect April 2021 Orlando holiday. This April 2021 Florida holiday includes Virgin flights from Gatwick or Manchester. Travel time is around 9 hours, but Virgin’s award-winning cabin crew look after you throughout. Onboard meals and drinks are included. Every seat has an entertainment screen with a choice of movies, games and TV shows. Families are well-catered for – children pick from a special kid’s menu and even receive a backpack of goodies! Fly mid-April onwards for best value. Early April dates are in the school holiday and flights are very expensive. If you need peak Easter dates, call us on 01934 319 851 for options. If you prefer to fly from your local airport, get in touch. We book connecting flights for a supplement. This April 2021 Florida holiday includes a fully-insured midsize SUV. Pick up the vehicle at the airport; drop it off on your way home. Car hire is inexpensive in Florida, so a bigger vehicle won't make much difference to your overall costs. Let us know your preferences on our enquiry form. April weather is hot and sunny so don’t forget to pack your suncream! Expect highs of around 28C/83F and lows of around 15C/53F. April is outside of the rainy season – the average monthly rainfall is only 61mm. We can add attraction tickets to your booking – we have excellent prices on Disney and Universal. Let us know your requirements on our online enquiry form. This April 2021 Florida holiday is available at an advance price of £825 per person. The holiday includes Orlando flights, two weeks in the Rosen Inn at Pointe Orlando and a fully-insured SUV. Book now with a deposit of £100 per person; balances are due 90 days before departure. If you have different plans, get in touch. We can put together any combination of flights, vehicle and accommodation for a tailored April 2021 Orlando holiday package. If you need peak Easter 2021 dates, don’t delay! 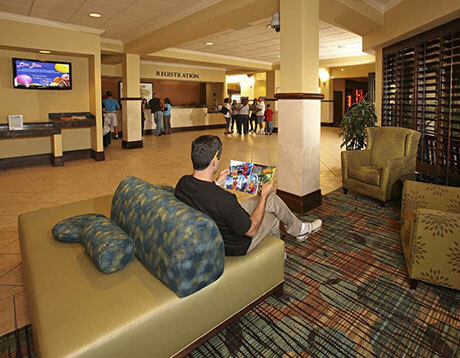 Easter is the busiest time in Orlando – an advance booking is highly recommended. Call us on 01934 319 851 for more information. All our April 2021 Florida holidays are ATOL and ABTA protected. Not sure where to stay? Advance book your flights now and decide on accommodation later. See our April 2021 Florida flights page for advance fares and money-saving tips. How does a fortnight at the Cabana Bay Beach Resort sound? The retro 50s-style hotel is popular with families – not least because of its location (Universal Studios is within walking distance!). 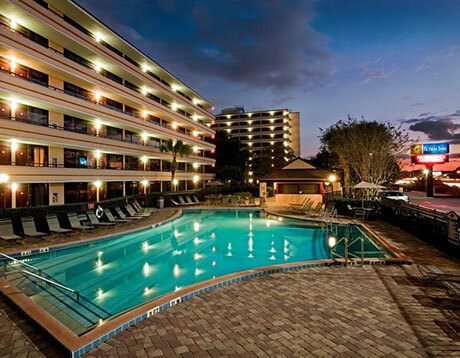 The holiday includes Orlando flights, car hire and accommodation. Advance book now from £995 per person. Good Friday falls on 2nd April so Easter comes early in 2021. If you need peak Easter dates, contact us now. An advance booking is recommended.